Yesterday’s EADT (contained details of a letter of support from six Conservative Members of Parliament based in East Anglia promoting Tim Yeo’s cause and concluding with “We greatly value the contribution that you make as a dedicated community campaigner and experienced Parliamentarian and hope that the members of The South Suffolk Conservative Association will make the right decision”. The article can be found on http://www.eadt.co.uk/news/politics/ south_suffolk_yeo_gets_backing_from_the_county_s_mps_1_3167446). Wednesday brought us the news that our M.P. 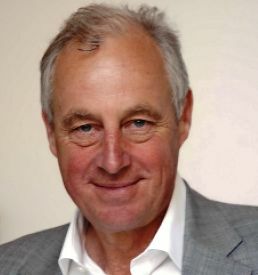 Tim Yeo will fight his deselection by the South Suffolk Conservative Association Executive. Tim has decided that the party members should decide if he is to be their candidate in the 2015 General Election. Apart from the Executive, everyone I have met (both party members and other well wishers) only speak good things about Tim. I think this might be a case of “It’s not the size of the dog in the fight, it’s the size of the fight in the dog.” (Mark Twain). Certainly we have a man who is not backward in coming forward and this is what we need in anyone who represents us. Certainly we do not need a milquetoast. Voting papers will be sent out around the 20th January. Yesterday evening the Executive Council of the South Suffolk Conservative Association (SSCA) met and voted not to re-adopt Tim Yeo as our candidate for the 2015 general election. Tim has represented the seat, which covers much of the Babergh district, for 30 years and is an effective and hard-working MP. He is a very good constituency M.P. and has never shrunk from offering his assistance to the people of Hadleigh when he has been approached with their problems. At the last general election in 2010 he received 24,500 votes – a 47.75% share. I am not a member of the Executive Council. I was consulted on deselection in mid September and made my views known. “It was with joy that I read that the Committee on Standards had cleared you on all counts of any breach of the MP’s Code of Conduct. This letter was read out last night – alas to little effect. It will be a sad day if we lose him as our M.P. We have eighteen months until the general election. That is far too short to select and embed a new candidate. Many of Tim’s 24,500 votes are personal and may not be easily transferred to the new person. Meanwhile we have UKIP snapping at our heels and everyone else is make hay at our expense.